Replica swords like Arya Stark’s “Needle” are on display in the reading room at Cushing. Martin’s manuscripts for “A Song of Ice and Fire” titles have provided valuable insights for “Game of Thrones” fans. Nearly 50,000 pieces contained in approximately 300 boxes are in Martin’s collection at Cushing and most of them are available for public view. To view the collection, visit the library’s finding aid online to select materials for library staff to pull from the archives for viewing in the Kelsey Reading Room. Nearly anything from Game of Thrones swords, correspondence between publishers and showrunners, board games, more than 1,300 copies of books in various translations and even lunchboxes can be pulled for view. 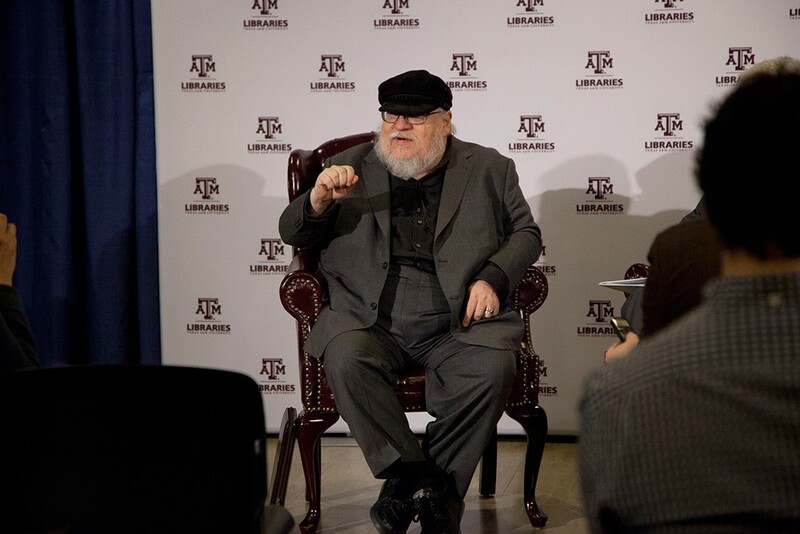 Jeremy Brett, curator of the Science Fiction and Fantasy Research Collection, said Texas A&M’s preservation of Martin’s collection will be crucial as the field of academic study around the book and television series grows.